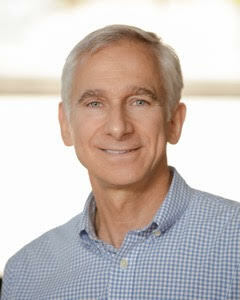 Bob served as SVP, Programming for FOOD NETWORK for 18 years, adding General Manager to his title for the last five of those years, and was responsible for all programming, development and scheduling at the network. Under his creative leadership, Food Network became a Top Ten cable network whose programming was nominated for 119 Emmy Awards (winning 31) and became an international powerhouse now seen in more than 150 countries. Bob discovered and developed such iconic stars as Rachael Ray, Guy Fieri and Giada DeLaurentiis, as well as such long running hits as CHOPPED, DINERS, DRIVEINS and DIVES and CUTTHROAT KITCHEN. Bob also starred on camera as a judge and mentor through 11 seasons of FOOD NETWORK STAR, the network’s #1 rated series. Earlier in his career, Bob was a Producer for ABC News, including six years on staff for GOOD MORNING AMERICA. Prior to this, he worked as an agent for actors and directors in the theater. His career began working as an assistant to the legendary singer Diana Ross. Bob earned his B.A. at Princeton University, majoring at The Woodrow Wilson School of Public and International Affairs.